NASA's Interior Exploration using Seismic Investigations, Geodesy and Heat Transport InSight lander, which touched down on Mars just 10 days ago, has provided the first ever "sounds" of Martian winds on the Red Planet. A media teleconference about these sounds will be held today at 12:30 p.m. EST (9:30 a.m. PST). This is the only phase of the mission during which the seismometer, called the Seismic Experiment for Interior Structure SEIS, will be capable of detecting vibrations generated directly by the lander. In a few weeks, it will be placed on the Martian surface by InSight's robotic arm, then covered by a domed shield to protect it from wind and temperature changes. It still will detect the lander's movement, though channeled through the Martian surface. 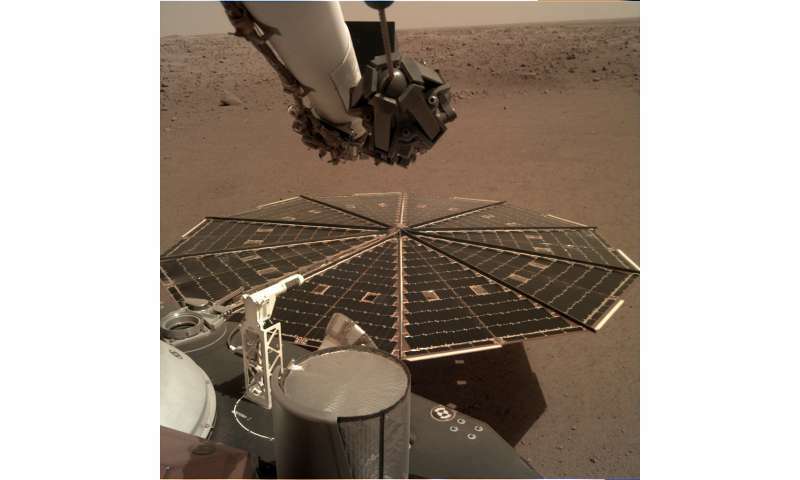 For now, it's recording vibrational data that scientists later will be able to use to cancel out noise from the lander when SEIS is on the surface, allowing them to detect better actual marsquakes. SEIS, France's Centre National d'Études Spatiales (CNES), includes two sets of seismometers. Those contributed by the French will be used once SEIS is deployed from the deck of the lander. But SEIS also includes short period (SP) silicon sensors developed by Imperial College London with electronics from Oxford University in the United Kingdom. These sensors can work while on the deck of the lander and are capable of detecting vibrations up to frequencies of nearly 50 hertz, at the lower range of human hearing. "That's literally what sound is—changes in air pressure," said Don Banfield InSight's science lead for APSS from Cornell University in Ithaca, New York. "You hear that whenever you speak to someone across the room." 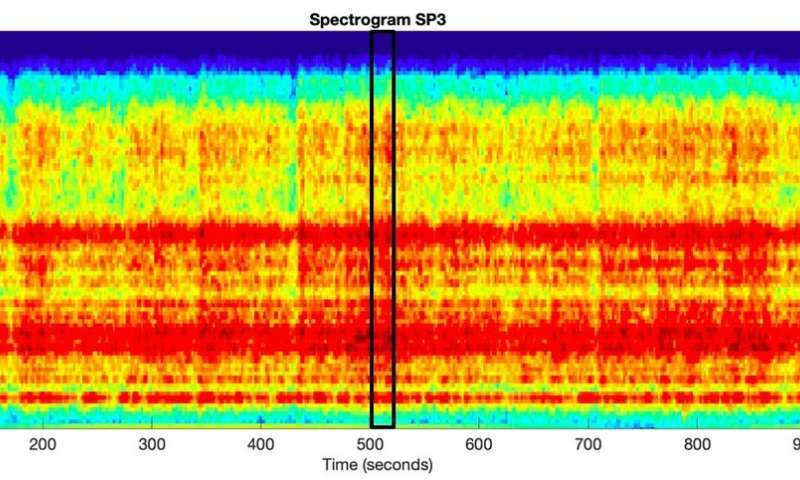 The raw audio sample from the seismometer was released unaltered; a second version was raised two octaves to be more perceptible to the human ear—especially when heard through laptop or mobile speakers. The second audio sample from APSS was sped up by a factor of 100, which shifted it up in frequency. Pitched up, or not, that is way damn cool. Thank you.